Bankruptcy enables you to write off income taxes more than three-years old. However, bankruptcy cannot get rid of all back taxes. There are many qualifications and stipulations regarding what taxes you can and cannot write off under bankruptcy. Our Florida bankruptcy clients are often able to discharge more taxes than they previously thought – see our website or contact us for a free consultation. Because there are two different types of income tax: state and federal. The specific bankruptcy guidelines between state and the federal government vary as well. The tax debt is from income taxes – meaning wages and earnings. The taxes were not accrued because of known criminal or fraudulent activity, and you have not attempted to evade payment of them. You filed a tax return for the related debt you are trying to discharge. The tax debt is a minimum of three (3) years old from the day you file for bankruptcy. The IRS has assessed the tax debt a minimum of two-hundred and forty days (240) before you file for bankruptcy. Taxes you did not file a return for. Taxes you file a late return for longer than 2 years after you declare bankruptcy, regardless of what period the taxes are associated with. Taxes you file a fraudulent return for, which has been proven in court by the IRS. IRS penalties for a tax debt already discharged under the bankruptcy. Compared to not paying, or doing nothing about your tax debts, bankruptcy is a great idea because there are several end results that leave you in much better shape. For example, you could have some, most, or even all your tax debts discharged by the court. You could reach a settlement agreement with the IRS for a much lower amount than what you owed. At the very least, it can give you breathing room to improve your situation. Even with the guidelines, most clients are surprised by how much of their tax debt is eligible for discharge under bankruptcy. Let me stress to you though, regardless of your status with the IRS, creditors, the criminal justice system, or anyone else, continue to file all tax returns within the required timeline if you are filing for bankruptcy. 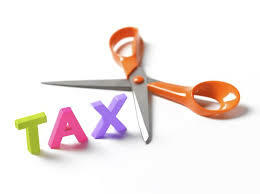 The last thing you need is a late filing to throw off your chances of discharging a tax debt. If you avoid dealing with your outstanding tax debts, then you leave yourself exposed to the IRS, which has the full resources of the federal government behind it. The IRS could fill a stadium to the brim with tax lawyers, who are experts at making life hell for people with outstanding debts they cannot pay. Some people even coined the term “IRS Hitmen” after personally experiencing the nightmare that comes with fighting the IRS. Remember, the IRS is not Joe’s Collection Agency down the street; they have much more power than a normal creditor. For more information about the discharge of tax debt in Florida, please see us for a free consultation.